The wall-mounted Vogue combi boiler by Ideal is available with an extended warranty period of up to 10 years, giving homeowners even more peace of mind when installing an Ideal combi boiler. The wall-mounted Vogue Combi boiler from Ideal received the Good Housekeeping Reader Recommended status in 2013 and 2017 and includes up to 10 years warranty. Read our full guide to Ideal boiler warranties here. This model includes an 8 year warranty as standard which can be extended a 10 years (parts and labour) when the boiler is installed with an Ideal System Filter*. This is one of the longest warranties on the market and a real demonstration of Ideal’s confidence in the performance, build quality and reliability of the boiler. It is a condensing, high efficiency, natural gas combi boiler with a water heating energy efficiency class of A and a minimum space heating efficiency of 92%. This range is available in three different heating outputs: 26kW, 32kW and 40kW. The output you choose will depend on the size of your home and the level of demand of hot water. As a rough guide, the below gives an indication of the most suitable model for typical homes. However, every installation is unique so you will need to consult with a professional installer as to the best heating solution for your home. Get quotes to supply and fit a new boiler now. All Ideal boilers are manufactured in the UK to with considerable emphasis on quality, innovation and value. The Ideal Vogue combi incorporates modern technology and premium components and parts. This model has been designed with easy, quick installation and servicing in mind with a lift weight of between 32.4 – 35.4kg, compact dimensions and flexible flueing options. The boiler can even be serviced when it’s still hot, thanks to innovative cool burner door technology. It is also available with an LPG conversion kit for homes not connected to the gas network. The large LCD display will tell you when the boiler needs servicing, and there’s also room for an optional programmer or timer to be built into the control panel for even greater efficiency. Ideal offer their own range of temperature controls including a mechanical timer, an electronic programmable thermostat and the Ideal Touch RF Control which is operated by a simple, colour touch screen. You can further enhance the efficiency of your Ideal Vogue boiler by including the weather compensation kit which uses an external sensor to monitor the temperature outside and adjust your heating accordingly. Want quotes to install a new Ideal boiler replacement? 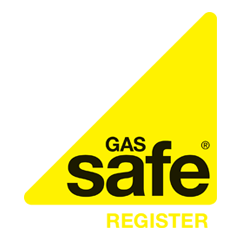 Boiler Guide can put you in touch with Gas Safe registered heating engineers. Get up to 3 free quotes and choose the quote which suits you best. *The Ideal System Filter is a magnetic filter designed for use with all Ideal boilers. A magnetic filter attracts and collects the rust, sludge and other debris which can create blockages in your heating system.